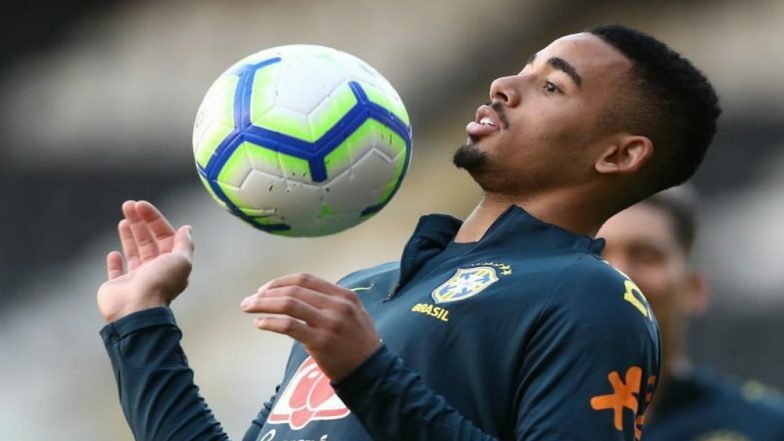 Rio De Janeiro, March 20: Brazil and Manchester City striker Gabriel Jesus has admitted that his career "stopped" following last summer's World Cup, but says he is growing in confidence and ready to recapture his best form. Jesus failed to score in Russia despite starting in each of Brazil's five matches as the designated center forward. By contrast, his Argentinian teammate Sergio Aguero has thrived, with 25 goals in 35 matches for Pep Guardiola's team in 2018-19. UEFA Euro 2020: Cristiano Ronaldo Returns to Portugal Squad First Time Since 2018 FIFA World Cup.